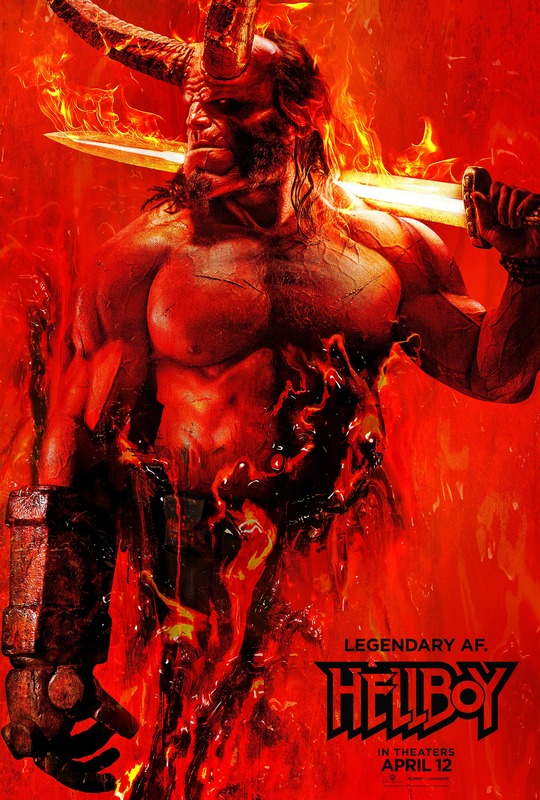 Hellboy is a 2019 supernatural fantasy action film directed by Neil Marshall. The film stars David Harbour, Milla Jovovich, Sasha Lane, Daniel Dae Kim and Ian McShane. 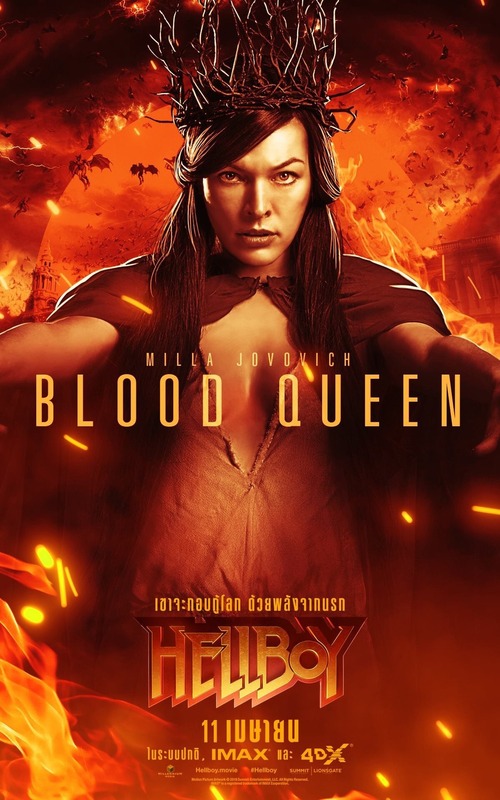 Hellboy follows Hellboy (David Harbour) who must stop Nimue, the Blood Queen (Milla Jovovich) from destroying humanity. YIKES. WHERE DO I EVEN BEGIN!? WELL…. It’s a mess. Period. The film opens with a sequence that pretty much introduces us to Milla’s Nimue and the betrayal she faces at the hands of one of her own along with King Arthur and Merlin. This sequence alone already tells us that this is a King Arthur story and we already know how all Arthurian stories end but we are fooled into thinking it will be different because of the spectacular visuals that accompany this sequence. The gritty gore gets our hope up. However the film fails to deliver and essentially becomes a depthless gore filled blockbuster that’s actually a lackluster. The film story wise feels so incomplete and incoherent that not even the blood, monsters and action make up for it. Hellboy tangles interesting ideas in its story that never really go anywhere. The one liners are flat, the dialogue is uninspired and Hellboy as a character feels kind of misplaced to me. Sure he’s this demon in a world of mortals and he’s probably looking for somewhere to belong but we don’t see or feel that. All we get is an adult who talks like a teenager and lacks depth and will never find the range to be the king he is meant to be. Speaking of lack of depth and lack of range, the Nimue character deserved so much better. She was so poorly written that her potential withers away, here we have a very powerful female character that wants the worlds of mortal and beast to live together but is eventually betrayed by one of her own witches and King Arthur along with Merlin, so in what world does it make sense that in her return she wouldn’t want to destroy everything (kind of) but she’d want to have Hellboy as her king? I mean she was literally betrayed by a king and spoiler alert that king happens to be Hellboy’s ancestor. So why would the film decide to do away with that hate she probably has for Arthur’s linage and make her this woman who wants a man by her side to bring destruction? When we’ve literally been told that she can do it all on her own because this is the very woman who crippled England with the plague. The film fails to develop Nimue or any other character and that’s extremely upsetting to me because THE POTENTIAL THAT THIS HAD! 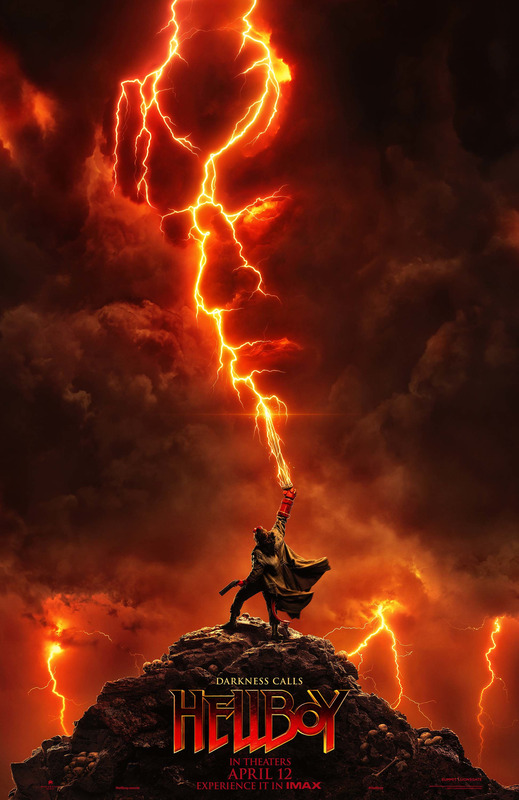 Overall the film fails to develop anything especially the rich lore it has here and rather settles for a film that is flat, anticlimactic and even boring, but if you have two hours to waste please go watch it.